It's Hello Kitty like you've never observed her before - as 1 with the brawlers from the Street Fighter video games! 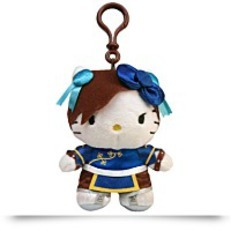 This Street Fighter Hello Kitty Chun-Li Plush Clip-On Coin Purse takes everyone's favorite little Japanese kitty cat, Hello Kitty, and turns her in to the elite martial artist Chun-Li from the hit Street Fighter video game series. 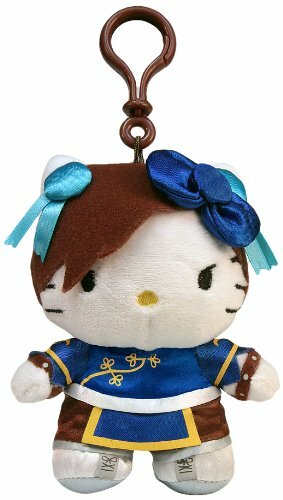 Featuring a zippered back to put your loose change into together with a clip for you to attach wherever you'd like, the Chun-Li Hello Kitty Plush Clip-On Coin Purse by Sanrio is 1 that fans of Street Fighter and Hello Kitty will not want to miss out on!